Hello, everyone. 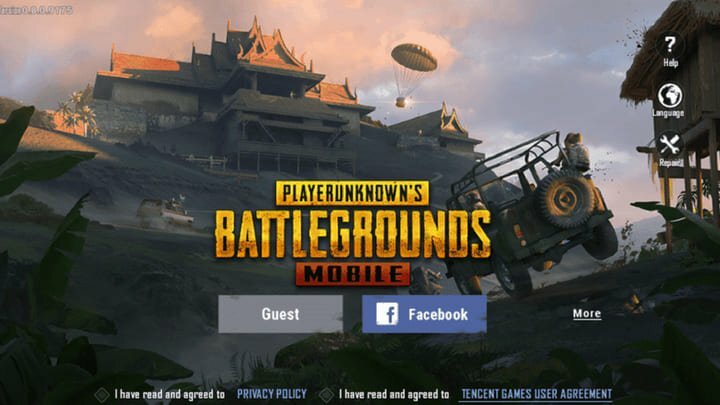 After the Update 21 for the PC, PlayerUnknown’s Battlegrounds Mobile (PUBGM) will soon be getting the 0.8.0 update for its mobile app on both Android and iOS platforms. 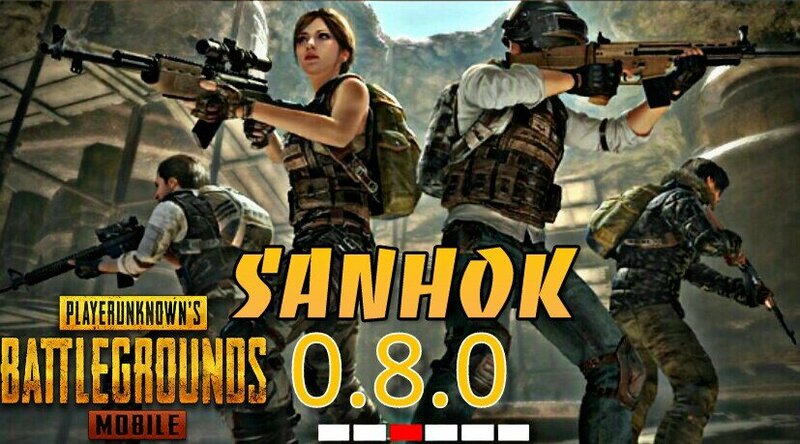 With the new PUBG Mobile version 0.8.0, PUBG Corp and Tencent games plan to introduce the new map Sanhok (Smaller Version) finally to the game. Subscribe to our Reddit community for more Updates. Here is the approx time left for your country to get the Update LIVE. UPDATE is being Delayed due to App Store and Play Store Security checks. Apple App Store Link. Google Play Store Link. PUBG STATEMENT TODAY at 08:00 UTC Update: We have submitted the BUG fixed version to both iOS and Android and are standing by for green light. We will let you know once 0.8.0 is live globally. 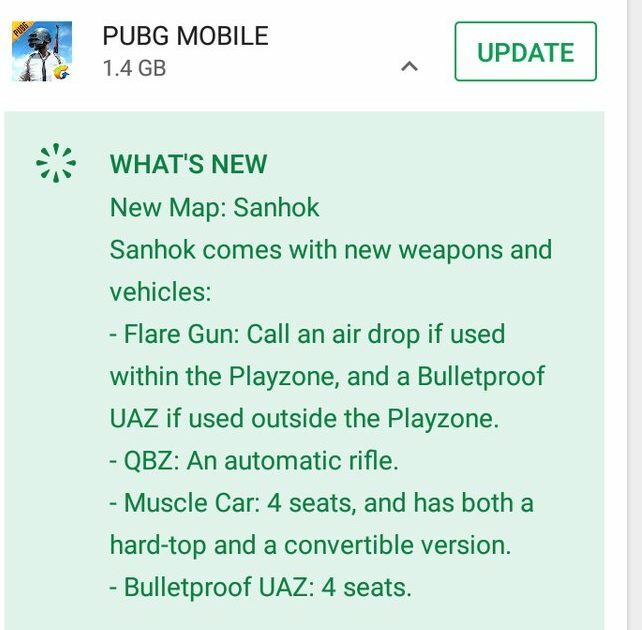 #Twitter Pubg News: To help reduce the size of our app, we’ve made Sanhok and Miramar as separate downloads in the latest update. 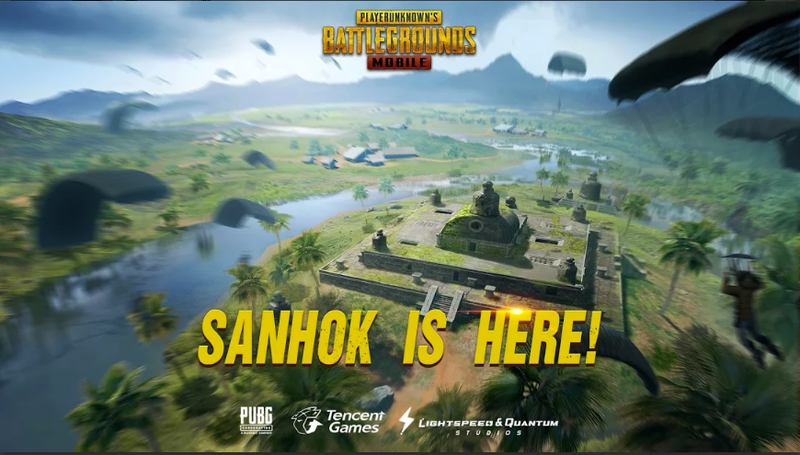 Go to the Matchmaking Menu and download the new map to start your Sanhok adventure! Apart from the existing two maps – Erangel and Miramar – PUBG will have the highly-anticipated Sanhok added as the third map for classic mode. The new map will be based on tropical rain forests of South-East Asia, and is significantly smaller than the other two maps in the game, at about a quarter of the size. This would make the map a less sniper friendly battleground. The number of players starting a game will still remain 100. This is made so to reduce the game play time and have quicker sessions. A couple of new large vehicles have been added to the game. These cars are said to have larger architecture and offer better protection and performance while driving in the game. Though they might be less fuel efficient. 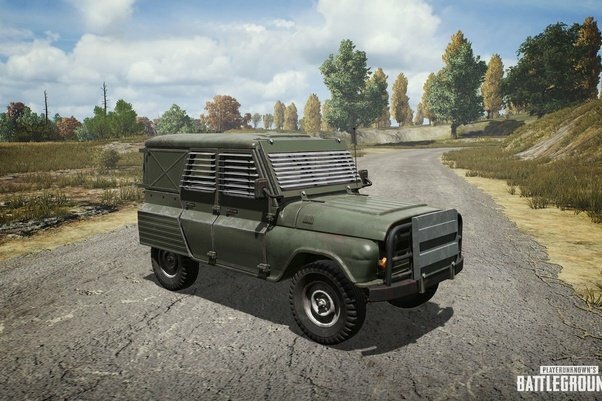 The bulletproof UAZ is a variant of the SUV that is already present in the game, while the muscle car is among the better-looking vehicles in the game. (Bulletproof UAZ can be obtained if you fire the flair gun in the Sky outside the Play Zone, If fired inside the Zone you will get 2 Premium guns in a triple Parachute Supply Crate). A new assault rifle QBZ has been seen to make an entry in the Beta version of 0.8.0. The QBZ assault rifle uses 5.56 mm ammo and is brought in as a replacement for the Scar-L. This QBZ is potentially the gun which will show up in the next update globally. Some trivial additions have been made too, relatively smaller features are a part of the new version, including giving the player apples to throw at others in the pre-game waiting area, Don’t ask me why they thought that was the need of the hour, changes to the UI and settings have been made including limits on auto-pickup of ammo. M24 will spawn generally in Maps (Erangel and Miramar) instead of Supply Crates, and also there is more advanced tech to keep a check on Hackers. 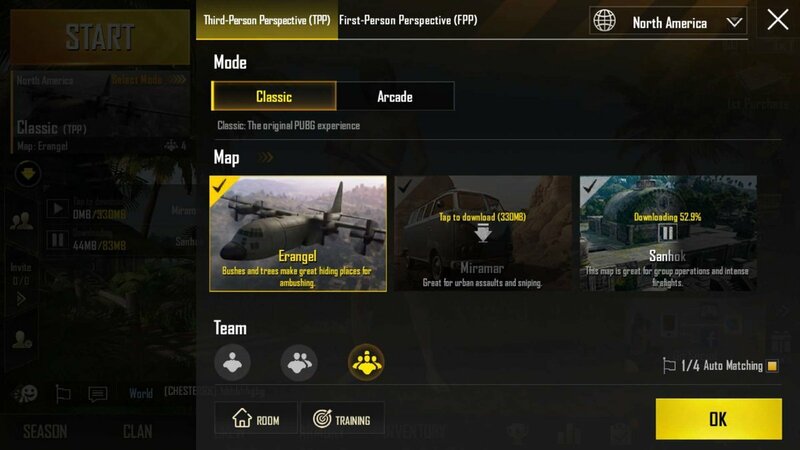 Recently release new features like the War Mode will also see themselves been carry forwarded to the PUBG Mobile version 0.8.0 update. The 8X Scope and the M24 Sniper rifle will not spawn on the Sanhok map. Nevertheless, the 8X scope will be available through care/supply packages, unlike the M24. Sanhok, Miramar can be downloaded independently, so enter the game and get it right away to join your friends! – Flare Gun: a rare item that calls a super air drop if used within the Playzone, and a Bulletproof UAZ if used outside the Playzone. – QBZ: an automatic rifle that fires 5.56mm rounds. Has both single shot and full-auto. – Duckbill: an attachment for shotguns. Reduces vertical spread and increases horizontal spread. – Bulletproof UAZ: 4 seats. Obtained from using the Flare Gun outside the Playzone. – Pick-up quantities can now be specified in settings. – Added more achievements. Now can be found under Missions. – Clan Perks: after getting specific items (through purchase or luck), the system will award a certain amount of UC for players to share it with other Clan members. – New Clan titles can be equipped after purchase. – Clan Rankings: now lists the most active Clans this week and this season. – Improved recognition of cheating plug-ins. – Added Report buttons to Spectator Mode, Basic Information and Results. – Time-Limited items can now be dismantled to BP directly. – Added a Collect All button to collect rewards of all completed missions. – Added new mission types to make progression more fun. – Chance to get a mystery drop after a match. Contents are customized! – Season page now shows all seasons played and relevant data such as season titles, the highest tier reached and more. – Friends can now be deleted in batches. – 3D models added to vehicle and airplane finish previews in the shop. – Animation on the Season page has been optimized for certain device models. – Accidental friendly fire will not be penalized. – Chat system has been tuned. – Items contains in air drops have been tuned.